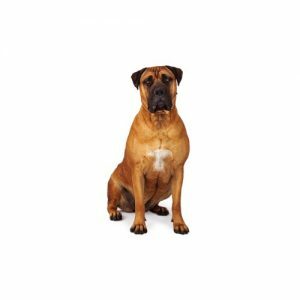 The Bullmastiff is a strong and powerfully built animal that possesses great intelligence and a willingness to please, making them ideal family companions and protectors. Although large, the breed remains both agile and active and is successful in conformation, obedience, agility, tracking, carting and therapy work. The Bullmastiffs coat may be red, fawn or brindle. The Bullmastiffs known history in England begins around 1860, when they were developed to keep large estates and game preserves free of poachers. Gameskeepers needed a dog that could track quietly, cover short distances quickly and pin and hold poachers without mauling them. The foundation breeding was 60% Mastiff and 40% Bulldog. Breeders were hoping to create a dog faster and more aggressive than the Mastiff, yet bigger than and not as ferocious as the Bulldog. The Bullmastiff is fearless and confident, yet remains docile and sweet-natured with his family. They are natural guardians of the home becausetheydo not bark much, as silence was a virtue when guarding estates. Bullmastiffs are independent thinkers and may not respond to traditional obedience training. The breed does not require much exercise or grooming, and can live happily in a house or apartment. The are great with children and other dogs.